A four-day festival showcasing diversity and ultimately providing scholarship funds for minority students will take place on the campus of Northwestern Michigan College Feb. 21-24. 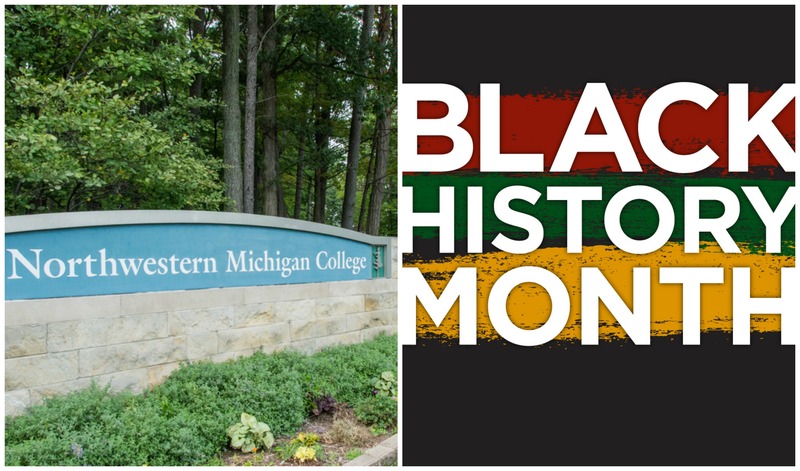 BSUFest will include films, presentations, music and more at the college as the campus celebrates Black History Month. Highlights include a showing of the award-winning movie "Hidden Figures," performances by rap, jazz and folk artists, arts showings, and workshops. There will even be a chance to work with a minority staff member: “Mentor speed dating” will take place from 4 to 6pm in Osterlin 205 as an opportunity for students to connect with a mentor of color. Maya James, a sophomore at NMC, is the head of the Black Student Union, which is hosting the event. She says the opportunity to learn from “people who look like you, how did you deal with things” can provide benefits for those in the minority. “There’s no access to a lot of culture – not just Black but Indian, Asian, Hispanic,” says James. While the group’s mission statement says it is “a group of students dedicated to the political and social empowerment of black Americans and ending police brutality,” James says the organization advocates for and includes members of numerous ethnic groups. According to NMC officials, in fall semester 2018 (the most recent one for which data is available), 44 students identified themselves as Black or African American, representing 1.2 percent of the total student population. Of the remaining minority students, 1.8 percent identified as American Indian or Alaska Native, 1.3 percent as Asian or Pacific Islander, and 3.5 percent as Hispanic or Chicano. That’s as compared with 82.7 percent White. Those figures show more diversity than in previous years: In 2015, white students made up 85.4 percent of the student population. The college’s enrollment is actually more diverse than that of the local population. Data from the US Census Bureau shows only .7 percent of the Grand Traverse County population identify as Black or African American, while 1.3 percent identify as American Indian or Native Alaskan, and 2.9 percent Hispanic or Latino. James says the relatively low cost of tuition makes NMC attractive, but the high cost of housing is a deterrent. James says a student she knew moved from downstate to attend NMC because of the high cost of colleges there, but ultimately returned home. “I had a friend from Detroit who couldn’t afford (housing). He was couch-surfing. He finally moved away and dropped out. It is an issue,” she says. She is hoping the BSUFest will create the foundation for a student scholarship for a person of color from downstate to help offset the costs and attract more diversity.